A Southern city undergoing massive inner city improvements after years of embracing car centric design and suburbia expansion, it has a vibrant public art scene, especially the murals! 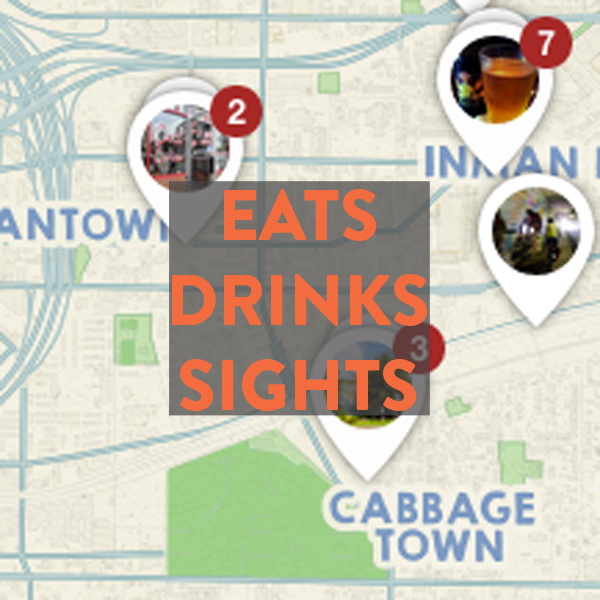 Bikabout's travel guide will help you wander the best of bikeable eats, drinks, sights and beds. Atlanta is the capital of the New South, and is currently in the midst of a fairly massive re-imagining of itself. For decades Atlanta was the poster child for Car Commuter Culture, with a donut of outlying suburbs supplying millions of single-occupancy cars into the machinery of Downtown every morning and back out again at 5, leaving most of the city’s inner neighborhoods in a state of half occupancy, and with more than their share of decay and neglect. Today young families are once again choosing to live inside the belt line in larger and larger numbers, with neighborhoods like Decatur and Old Fourth Ward shaking the dust of the 1970’s off and putting those old empty buildings to vibrant new uses. Bike lanes are sprouting up like kudzu, including some pretty dreamy cycle tracks and bike paths that are beginning to offer serious connectivity for people who want a better way to get around town than sitting in Atlanta’s infamous traffic. Atlanta has always had the climate and the culture, but they’re now beginning to make it accessible to everyone. The bike culture in Atlanta tends to be young, fresh, and vigorous. Bikes are gaining traction here, and cyclists are eager to meet up and share fellowship. It’s an exciting time to bike around Atlanta. Atlanta is pretty relaxed, but hand signals and bells remain remarkably simple and effective ways to keep you out of collisions. Tell the people around you what you intend to do. Front white light and at least a red reflector is required. Helmets required under the age of 16. Stay off the sidewalks, stay to the right as much as you can (it’s a law), don’t ride more than 2 people wide, and motor vehicles are required to give you at least 3 feet of space when they pass. Normal “big city” rules apply… bring your bike inside at night if even remotely possible. If not, use at least one serious U-Lock or high-grade (preferrably German) cable lock. Secure the wheels to the frame, and don’t lock up to something that can be unbolted or lifted out of the ground, like many street signs. These routes were curated by local Atlantans who wanted to share their #BestBikeRide with you. Print off the map for free! Take a family bike ride with a bakfiets (Dutch cargo bike) rental from DECATUR fiets. Relay Bike Share - $8/hour for sturdy city bike with easily adjustable seat post, chain-less pedaling (no grease stain), lights and basket. DECATUR fiets - family cargo bike rental. Call for pricing. Skate Escape - $40+/day for single speed, tandem or mountain bike. Lock and helmet extra. Bicycle Tours of Atlanta - $59 for 3 hour tours: "Fall in Love with Atlanta", "Old South and New Beginnings", "Downtown to Midtown, Past to Present" and "The Sweet Twilight". Includes bike, helmet, water and snacks. Beltline Tours - FREE tour of the Beltline, Saturdays at 9am and Sundays at 3pm. Must register in provided link. 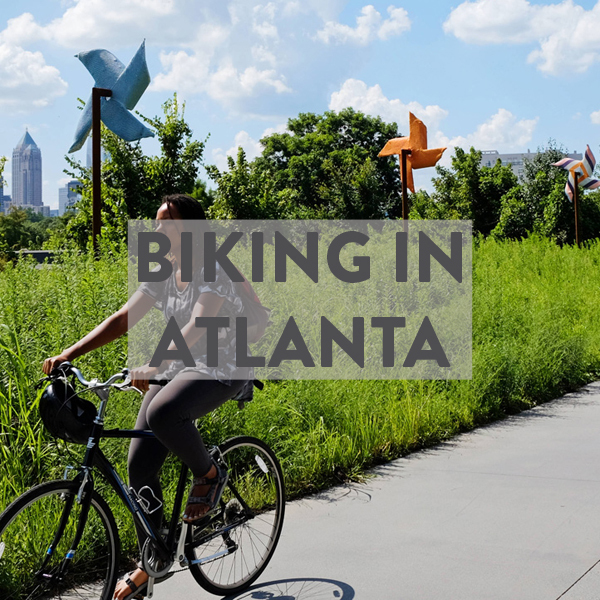 We curated this list of our favorite bike shops, coffee shops, restaurants, museums, scenic vistas, playgrounds, ice cream, microbreweries and more in Atlanta & Athens! 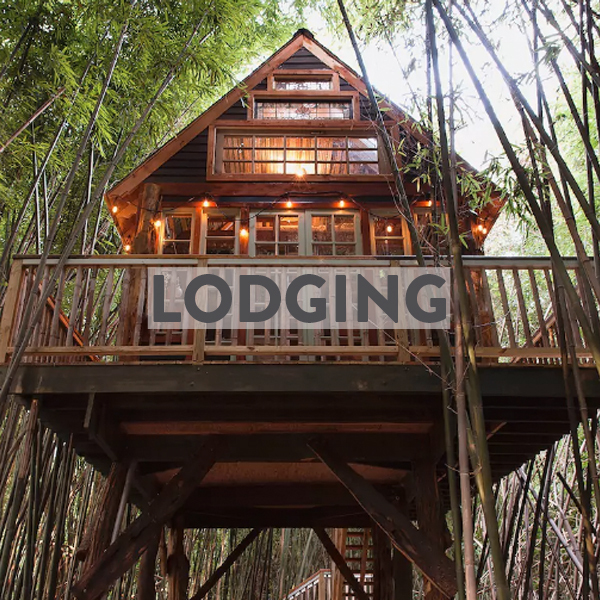 See our lodging directory for bike-friendly hotels, inns and B&Bs. Get $25 off your stay by clicking here! Follow Bikabout's board Bikabout Atlanta Airbnbs on Pinterest. Crescent (New York - Atlanta - New Orleans) - folding bikes allowed. Full bikes must be boxed (boxes are $15) and pay $10 to check as luggage. Greyhound - bicycles must be boxed or bagged and if they exceed 62" in length, a charge of $30-40 will be applied. Bikabout donates 25% of annual revenue to local advocates. You, too, can power better biking in Atlanta, Athens and Georgia by becoming a member of any of the great non-profits below!